Hello! Welcome to the Language of Jazz.com. My name is Antonio Parker, and I’m a jazz saxophonist and educator. I am also the author of The Language of Jazz: A Repository of Melodic Ideas and Linear Constructions, a series of 17 books designed to help aspiring jazz improvisers cultivate and expand their jazz vocabulary. As a professional jazz musician who has been playing jazz for more than 30 years and teaching for nearly two decades, I am excited to be able to share my knowledge, experience, and expertise with those looking to master the art of jazz improvisation. My company, Jazzology Publications LLC, provides educational resources and materials to help grow and develop the artistry of aspiring jazz musicians. Our products are geared toward beginner, intermediate and advanced jazz musicians, as well as jazz educators and educational institutions. Please view some of the sample exercises from the Language of Jazz Book Series. We will also be offering other books on jazz improvisation, as well as providing sheet music, jazz arrangements, jazz transcriptions, ear training methods, a jazz play-a-long series, and other resource materials that might be of interests to the developing jazz musician. Antonio Parker is a jazz saxophonist, composer, music producer and educator. The Philadelphia, Pennsylvania native holds undergraduate and graduate degrees in jazz studies from Howard University. He also holds a bachelor’s degree in music education from the University of the District of Columbia. 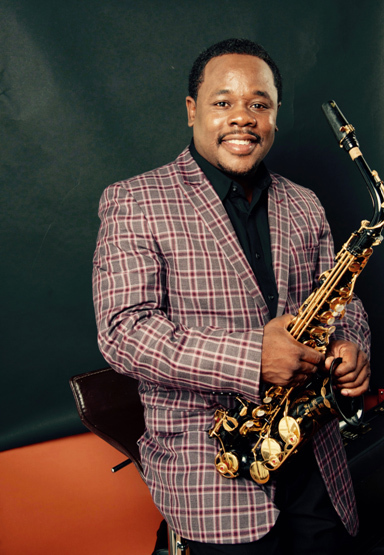 Parker has served as USIA Jazz Ambassador to Africa. He has toured and performed on the world stage and is an Airegin recording artist. Parker has taught music in the public school systems of the District of Columbia and Prince George’s County, Maryland. He currently resides in the Washington, DC Metropolitan Area.